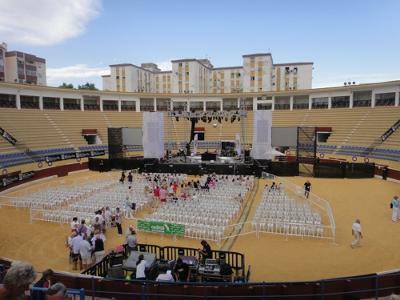 The Bjorn Again concert 2010 held at the Marbella bullring last night was a success. Our family attended the event and we all had a great time. 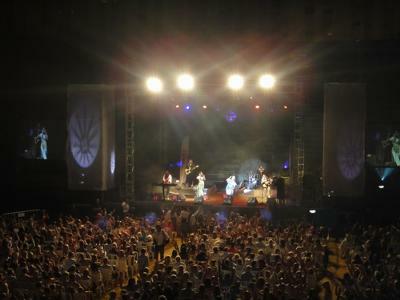 There was a bit of a rocky start as show was supposed to start at 8:00pm, but didn´t kick off till just after 9:00. The kids were very anxious to get things started as we had been waiting there since 7:00. 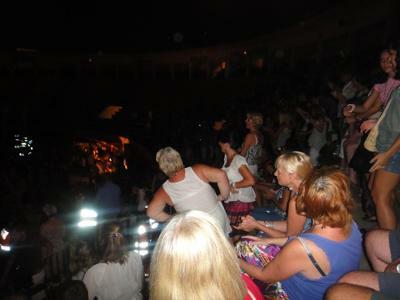 When the lights turned on and the show started, though, all was forgotten, with the exception of a few blips. There were a bit too many 5 - 10 minute breaks that were quite annoying. The only thing that was quite funny was that during the first two acts by Becky Tate and Ruth Lorenzo the audience was seated and quiet. However, during the breaks the DJ had played such great music everyone started to get up and dance. 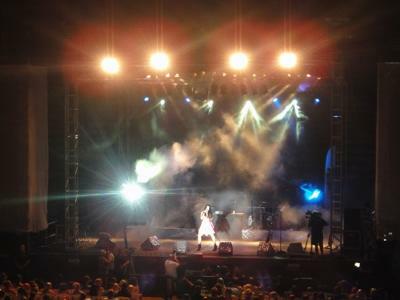 We were very impressed by the power of Ruth Lorenzo´s voice and her energetic stage presence. She played a lot of rock songs that we all were familiar with and got our feet taping. She sang a lovely song in Spanish in tribute to her mother which was very touching. Bjorn Again finally hit the stage at around 10:30 and immediately got the audience up and dancing with ABBA´s most popular hits such as Mamma Mia, Dancing Queen, Fernando, Chiquitita and many more. "Benny" even broke out in a rap in between one of the songs, which turned out to our favorite part of the show. The group does a great job imitating the real thing and even looked the part with their hair and costumes. Their voices were spot on and kept us grooving until midnight. We all had a wonderful night out and hope Bjorn Again comes back to the Costa del Sol very soon. It was a great night out and nice to see so many kids and families. Definitely a family friendly atmosphere. I thought Ruth Lorenzo stole the show. Either she has improved immensely since appearing on the X Factor or the TV show did not do her voice justice. Either way she was brilliant and her duet with Bjorn Again for Chiquitita was my highlight.